Su Xiaobai studied painting at the Wuhan School of Arts and Crafts, the Wuhan Institute of Painting, and the Hubei Institute of Fine Arts before attending the Beijing Central Academy of Fine Arts, where he studied the techniques of traditional painting and accumulated his abilities in expressive techniques. He was later awarded a German Cultural and Art scholarship to participate in the graduate program offered by the Düsseldorf Academy of Fine Arts in Germany in 1987. Under the guidance of Konrad Klapheck, Gerard Richter, and Markus Lupertz, he strived to break away from the skills he mastered in Beijing, and develop a visual language rich in personal experience, life observation, and abstract symbols. Immersion in Western culture and separation from his homeland led the artist to experience an artistic rebirth, consequently fostering a deeper understanding of his surroundings, cultivating the ability to rediscover the duality between art and object, and developing a renewed perspective towards the traditional culture of his ancestry. 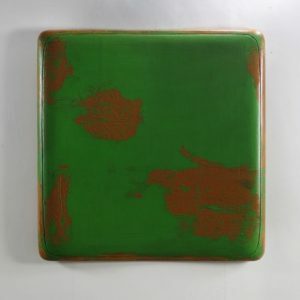 Upon his return to China in 2002, Su became inspired by lacquer– a thousand-year-old plant material and a symbol of Oriental culture. He began to paint lacquer on linen and bricks, later unrestrainedly experimenting with oils, sack-cloths, clay, vines, and wood as a substitute for oil on canvas. 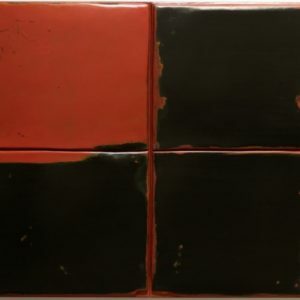 The artist paints layers of vibrantly colored lacquer in a purely structural and balanced composition, adhering to the framework of solid expanses of red and black and rendering a three-dimensional momentum and vitality. 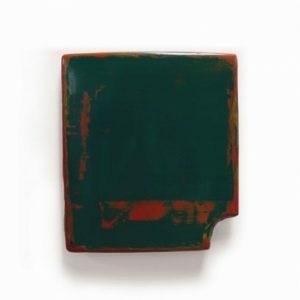 The thick, imposing texture stimulates a curiosity within the viewer, while the integration of cultural and historical accumulation permeates the expressively colored abstracts. The seemingly arbitrary, yet meticulously deliberate handling of visual forms reveal the artist’s pursuit of aesthetic depth and quality. Su stands at the cross-cultural convergence of Eastern and Western civilizations, embodying the reciprocal philosophies and assimilation of the new globalized world, but maintains his own personal reinvention. Su’s works have been exhibited internationally in various solo and group exhibitions, including Su Xiaobai 2012-2014, Tina Keng Gallery, Taipei (2014), Su Xiaobai 2010-2012, Tina Keng Gallery, Taipei (2012); ART Singapore, Singapore (2010); Die Dynastie der Farben (The Dynasty of Colours), Langen Foundation, Germany (2009); Transforming Pictures: A Contemporary (Re)presenting of Traditional Thoughts, The National Art Museum of China, China (2009); Intangible Greats, Shanghai Art Museum, China (2007); and The First Beijing International Art Biennale, China (2003).